Entering 2017, there was a lot of questions surrounding Jukasa Motor Speedway and whether it’d be ready in time for their one lonely scheduled event. Of course, that’s history now as they certainly were set to go, and put on a heck of a show with a full crowd in house. Based on their beginnings, it appears the sky is the limit as they enter year two, primed with a jam-packed schedule throughout the year. “Before we opened last year, being Cayuga was already special with big events, we wanted to continue that tradition,” General Manager Alex Nagy said. The biggest event of the year is set to create headlines as the Canadian Short Track Nationals has been talked about provincial wide. After hosting an APC Auto Parts United Late Models of Ontario Tour and an Outlaw Super Late Models event on Saturday, Septembe 1, the next two days are set to captivate the fans attention. 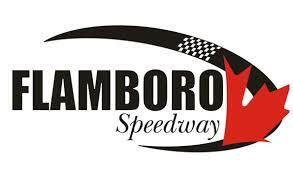 With a payout of $25,000 to win for the Pro Late Models, along with $5,000 to win for the super stocks, the event is set to attract “the best of Ontario and some guys from the US as well.” As it stands right now, the event is set to have a total payout of $150,000. The other five events promise to be just as huge, with visits from the NASCAR Pinty’s Series, OSCAAR, Limited Late Models, King of Wing Sprint Car Series, IMSA Super Modifieds, and the ROC Modifieds. “We’re excited about having six events over five weekends. Everybody says it’s about the fans and we try and have a variety of different things – plus local divisions,” Nagy said. “So we’re trying to make sure we keep the local groups involved as much as we can, and I give credit to these guys to allow us days where their divisions are off so we can use them because we don’t have any of our own. It’s been a lot of fun to put the schedule together this year due to the variety.